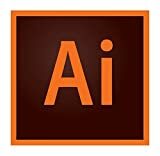 Adobe Illustrator is a vector graphics drawing and illustration software developed and marketed by Adobe Systems Incorporated. The very first version of Adobe Illustrator was developed during 1986, released to public in January 1987, and was only available for the Apple Macintosh. Today, current versions of the program are available for PCs using the Microsoft Windows operating system, and for Apple Macintosh computers, but in the past, older versions of software, were once released (admittedly on a somewhat sporadic basis) for Solaris and some other UNIX operating systems. From its inception, Adobe Illustrator has been based around the concept of Bézier curves as the main element of documents - in fact degenerate Bézier curves are used to represent lines, and the curves are even used to emulate circles and arcs. Additionally, Adobe Illustrator has incorporated technologies derived from PostScript and Adobe's font technology. 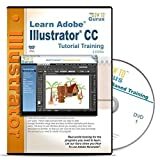 However, despite the sophisticated technology behind the product, Adobe Illustrator has always been relatively easy to learn and use, making it accessible and suitable for graphics and design professionals who are not necessarily technical wizards. Over time, successive versions of Adobe Illustrator have gradually been enhanced with more and more features. For example, Internet-orientated features to support web publishing have been added, as have advanced rasterization and PDF features. Recent versions of Adobe Illustrator have even added capabilities for extrude and revolving shades in 3D, thus allow you to use the program to create simple 3D objects. Additionally, a relatively new feature known as "Live Trace" provdes a powerful method of converting bitmap images into vector art ("vectorization").